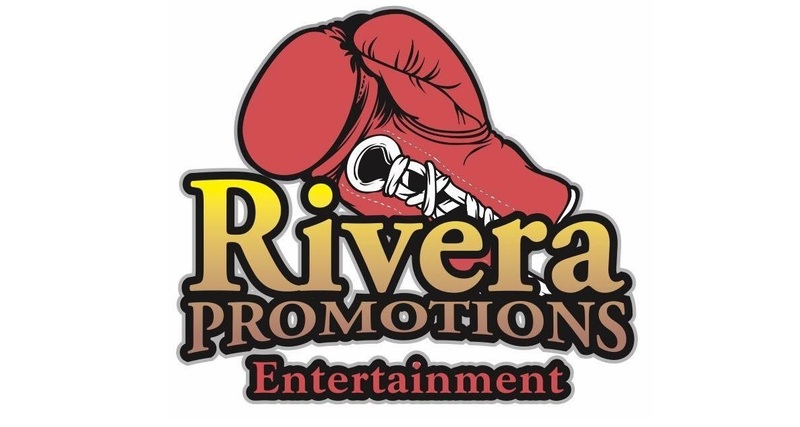 One of New England’s leading pro prospects, junior welterweight Omar Bordoy, Jr., has prepared to make a statement February 10th at “New England’s Future 5”, presented Rivera Promotions Entertainment (RPE), at The Palladium in Worcester. The 22-year-old Bordoy is the typical example of a volatile teenager who found his way in boxing. He was a high school football player who started boxing at the age of 17. Bordoy had an abbreviated amateur career, highlighted by his winning performance at the New England Golden Gloves as a novice boxer. Bordoy, Jr. credits Team Bordoy — manager A.J. Galante, head trainer Bennie Little, cut-man Luis Marichal, strength-and-conditioning coach Chris Mulfalmi and Dave McDonough – for his success. “I’m pleased to be with the right people to bring me to the top and I’m willing to do what’s needed to get there,” Bordoy added. Bordoy, who works fulltime as a repair technician, made his pro debut last May and he fought a total of three times in 2017, his most recent last October in Worcester on an RPE-promoted show, in which he stopped 34-fight veteran Bryan Abraham in the fourth round. In the eight-round main event, undefeated Hartford (CT) light heavyweight Richard “Popeye The Sailor Man” Rivera (5-0, 4 KOs) takes on Kevin “The New England Bully” Cobbs (10-2, 4 KOs), fighting out of South Boston (MA), for the vacant Universal Boxing Federation (UBF) New England title in the eight-round main event. Worcester’s two-time national amateur champion Bobby “BH3” Harris, III (2-0) faces Brazilian super middleweight Saul Almeida (0-8-1) in the four-round co-featured event. Hartford super middleweight Jose “Rated R” Rivera (4-1, 3 KOs) meets Troy “Omar KO Artist” Artis (4-7-1 (3 KOs), of Danbury (CT) in a six-round bout. Fighting on the undercard, all in four-round matches, are Southbridge (MA) junior welterweight Wilfredo “El Sucaro” Pagan (3-0, 1 KO) vs. pro-debuting Nick Peralta, of Lawrence, undefeated Springfield (MA) light heavyweight Ray “Bazooka” Graceski (5-0, 3 KOs). vs. Hartford’s pro-debuting Pawel Bansiak, Springfield welterweight Derrick “Bad Boy” Whitley (2-0) vs. Roger Blankenship (1-2), undefeated Puerto Rican super middleweight Jelame Garcia (6-0, 6 KOs) vs. Brazilian Rodrigo Almeida 1-7), Bridgeport’s (CT) pro-debuting welterweight Joseph Goss vs. Seth Basler (0-3), and Hartford junior lightweight vs. Bridgeport’s Carlos Marraro, III (0-1). Tickets, priced at $75.00 (ringside) and $45.00 (general admission), are on sale and available to purchase at www.ThePalladium.net or the Palladium box office (general admission only), or by contacting Jose Rivera (elgallojar@gmail.com/508.864.6954), AJ Rivera (anthoneerivera@gmail.com/774.272.2269) or any of the fighters. Doors open at 6 p.m. ET, first bout 7 p.m. ET. Part of the proceeds will be donated to the Luis Rosa, Jr. Scholarship Fund. Sponsors include Lundgren Honda, Top Royalty, Allstate, USANA, Atty. Maria M. Rivera-Cotto, Ambicion Musik, Hill Team Associates and Lundren Insurance & Financial Services.